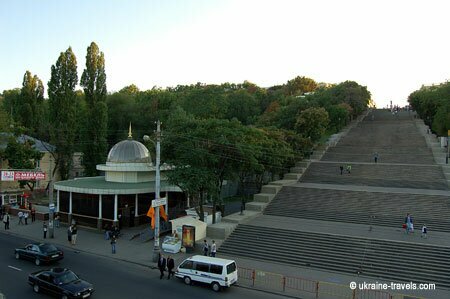 Odessa is the third city of the Ukraine, according to size and number of habitants (about 1,050,000). 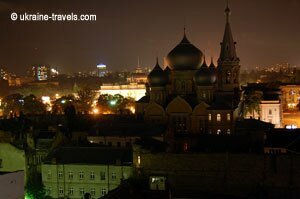 The city overlooks the Black Sea and its coast is rich in small and large natural inlets that make it a characteristic place for tourism and holidays. Certainly a beautiful city from the point of artistic and architectural, but not the most perfectly kept. 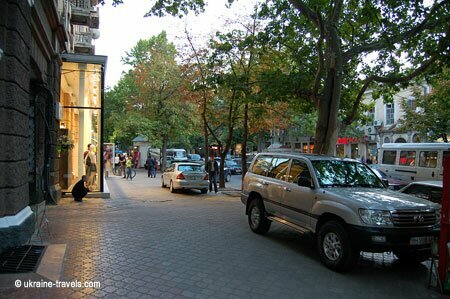 One notes a good quantity of disorder and carelessness, the streets are not an example of cleanliness and there are many yards, open for the reconstruction of public and private buildings. 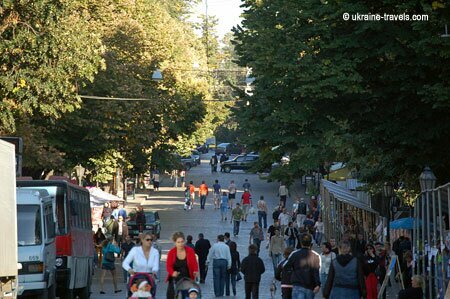 Odessa has developed for tourism, from which it takes a good slice of support and because of this, is one of the most costly cities (personal experiences) of the Ukraine. I spent 2 days (September 2007) as a solo and lost tourist. With my knowledge of scholastic English to test in person the behaviour towards foreigners, the thing that made me smile a lot was a taxi driver who had driven me around and around for 30 minutes to go to the airport from a place that was only 4 kms away. All this to increase the cost of the transfer to 70 grivne (10 euro). I would like to tell a little story that was told to me in the South of the Ukraine by the citizens of that place and relative to Odessa. Odessa I don't know you anymore!!! Odessa now I know you!!! Like all tourist cities, Odessa needs to pay better attention to the part of an un-experienced visitor, more or less in the important centres. Utilise official taxi companies and drivers who speak English (Italian impossible but also difficult English) and always negotiate the cost of the trip (from the airport to the centre, from 80-100 grivne, you offer 50, take it or leave it). One finds apartments everywhere however a good distrusted market, to those a long way from the centre.